Dr. Thomas Graboys was part of a dream team of well-lauded cardiologist who was diagnosed with Parkinson’s Disease and had to give up his practice. 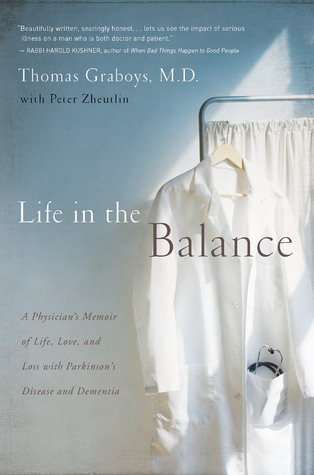 In his book Life in the Balance: A Physicians Memoir of Life. Love, and Loss with Parkinson’s Disease and Dementia, he writes candidly of his journey with Parkinson’s. This is a devastating diagnosis especially for someone who has recently seen his wife die of cancer, and a man who was at the height of his career. This is a super book if you have someone in your life with PD and you want to gain insight into one person’s journey dealing with the ups and downs of this brutal disease. Thinking about Subscribing to a New Podcast? Okay, I’ll fess up that I haven’t spent a cent on I-tunes. Old school or too penurious? You decide. There are so many great podcasts that you can listen to that are free why further enrich Uncle Steve’s (Jobs) pockets? Imagine even ten years ago thinking that you could program your own radio listening each day, today that is true and with so much available it can be somewhat overwhelming to choose between the many offerings. I have a friend in Chicago who shares suggestions for podcasts worth a listen that he’s heard recently. It’s fun to listen to his choices and to share with him my favorite picks. If you are one who likes to go to lectures but gets home from work too tired to do so, take a listen to San Francisco’s Commonwealth Club’s podcast and the list of some 300+ speakers they invite in to speak in front of a live audience annually. KUOW’s Speaker’s Forum broadcasts speakers from Seattle’s Town Hall and sometimes the City Club, both host national and international speakers of merit. 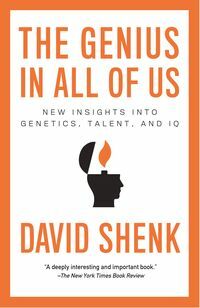 Radio West out of Salt Lake City has a great program featuring journalist David Shenk and his book The Genius in All of Us. Shenk claims that everything we believe about intelligence and “giftedness” comes from is wrong. His new book that looks at talent from a variety of scientific fields and he thinks that DNA isn’t the blueprint of who we will become. It is a discussion worth listening to whether you agree with his premise or not. If you have set up an RSS feed there are easy ways to keep up with the latest computer hints, one is to subscribe to Lifehacker. They have so many hints and you will be amazed by their ability to explain in simple language computer hints and beyond. How Can I Ditch Cable and Watch My TV Shows and Movies Online? Having discovered a marvelous Ceviche Shop in Kona (now closed sadly) I began to wonder how hard it could be to make this flavorful cool answer to dinner or lunch on a hot day. I discussed it with a friend who’d gone to the same shop and then replicated the flavors at home. The tastes were so vivid but with the high price and small portions to make one crave a home created variety for a fraction the price. This recipe seemed to most closely duplicate the fresh flavors I was served, it’s simple to make and super good if you use fresh ingredients. I used mahi-mahi and served it with some organic corn chips and it was the perfect meal to eat on the deck on a summer evening with a friend. 1. Dice the fish into 1/2-inch chunks. 2. In a large, non-reactive bowl (glass or ceramic), combine the lime juice, coconut milk and salt. Stir to mix. Add remaining ingredients and mix them gently to coat the fish. 3. Cover the mixture and let it rest in the refrigerator for at least 10 minutes, then taste it and adjust the seasonings if necessary. Refrigerate until time to serve. IMPORTANT NOTE: Eat within four hours or the fish will “overcook” and become dry.